AdSense is a platform made by Google that enables websites owners or bloggers to make money with their site or blog while they implement and display google Ads on their blog. In Nigeria, as a Nigerian blogger, you cannot easily get an approved Nigeria Google AdSense. Now the only two alternatives is you signing up for either USA or UK AdSense Account in Nigeria. Are you a blogger or webmaster looking for way to get AdSense Approved fast and start earning, the trick here is that you will apply for USA or UK Adsense account because their approval rules and policies are not strict like that of Nigeria but you will only need a little set up to get your adsense approved without delay. Step 1 : Go to Google Adsense official website via https://www.google.com/adsense/start/, Then, tap on SIGN UP. 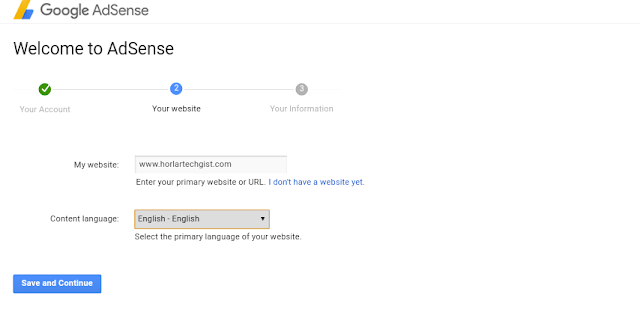 Step 3 : In the next page, insert your website URL and select content language which is to be English. Step 4 : Then, under Country/territory: Select UNITED STATES or UNITED KINGDOM. 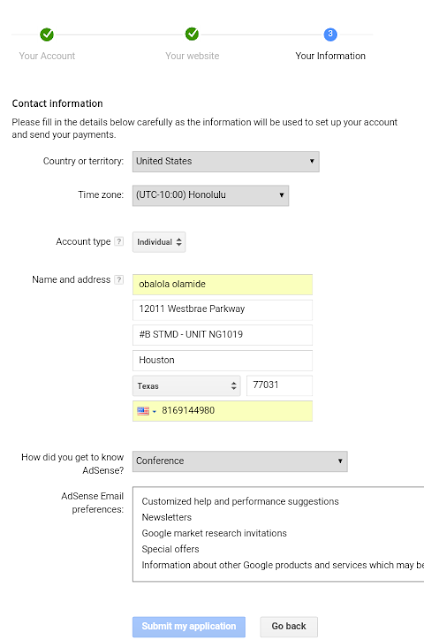 Note : You can make use of Nigeria number to open USA AdSense. Step 5 : Finally, tap on SUBMIT APPLICATION. Now you have applied / register a UK And USA Adsense Account. Now, you will be enabled to log in to your account. Not to start earning but to connect your site with AdSense. Note : Any Blogger From any country can sign up for both UK or USA Adsense Account. 2 Responses to "Step by Step Guide on How To Apply For UK or USA Adsense In Nigeria and Get Aproved"